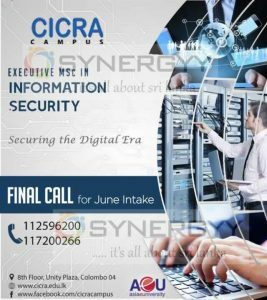 CICRA Campus invites applications for the Asia e University Executive MSc in Information Security for June 2018 intakes. This is a good opportunity for those who are with basic qualification to obtain such Executive MSc programme and its one of the leading university in Malaysia and offer range of degree programme worldwide. If you keen in career growth in information security field, its worth of following such Executive MSc to add values to your qualification.